The Santa Ynez Valley is a beautiful area in Northern Santa Barbara County that is well known for its wine country. Looking for things to do while you're here? Here are a few of Dana Volk's favorites in the area, as well as a few resources. Check them out! Your Santa Ynez Valley Destination Guide. Discover SYV, things to do, places to stay, events, and other local resources. The Chamber promotes our community and supports our local economy and businesses that serve both our residents and visitors. The Official Visitor Guide For Solvang. Take a look at the Dining Guide, the Sweet Treats Trail, and the Top 10 Must See & Do in Solvang. Vino Vaqueros offers private horseback rides led by knowledgeable guides through ranches and vineyards in the Santa Ynez Valley. And afterwards, you can taste local wines of your choice. If you enjoy barbeque, you need to stop by The Cold Spring Tavern. Located off of the San Marcos Pass (Highway 154), this stagecoach stop is known for its traditional American fare made with fresh local ingredients including their famous Cold Spring Chili, tri-tip barbeque sandwiches, and delicious steaks and ribs. 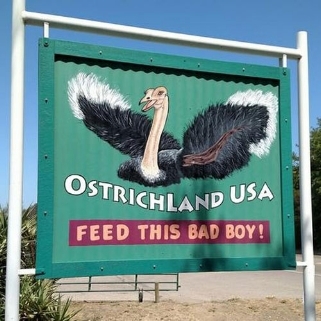 Located in Solvang on the way to Buellton, check out the Ostrich farm where you can feed the ostriches and emus. They even have ostrich eggs!